Indiana summers were made for Bloomington, so if it’s not already a family tradition, we suggest you make it one. Get the whole family in a summer state of mind—without breaking the bank—and your kids will thank you. At some point, anyway. 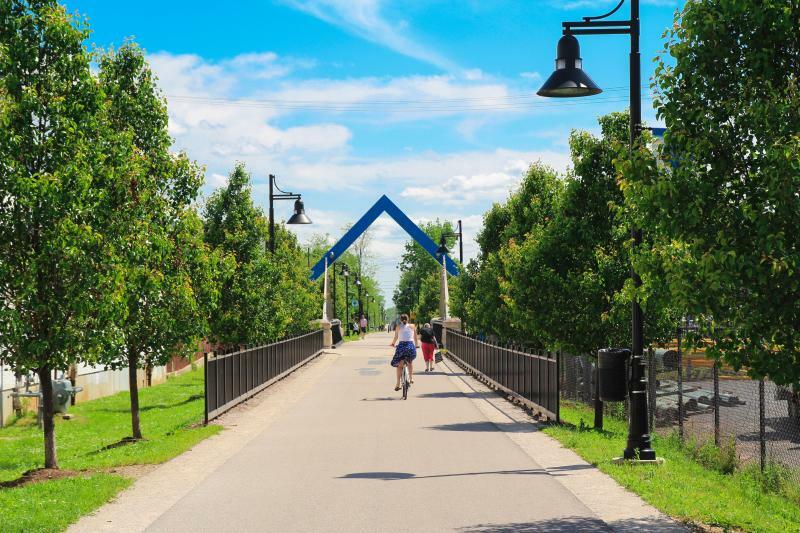 Spend some time exploring the city’s kid- and parent-friendly activities. Get the full B-Line Trail experience and rent bikes to see the city’s main sights, without the car hassle. Swing by Hopscotch Coffee for a hot or iced caffeine boost and a wide selection of sweet treats to entice even the pickiest eater. 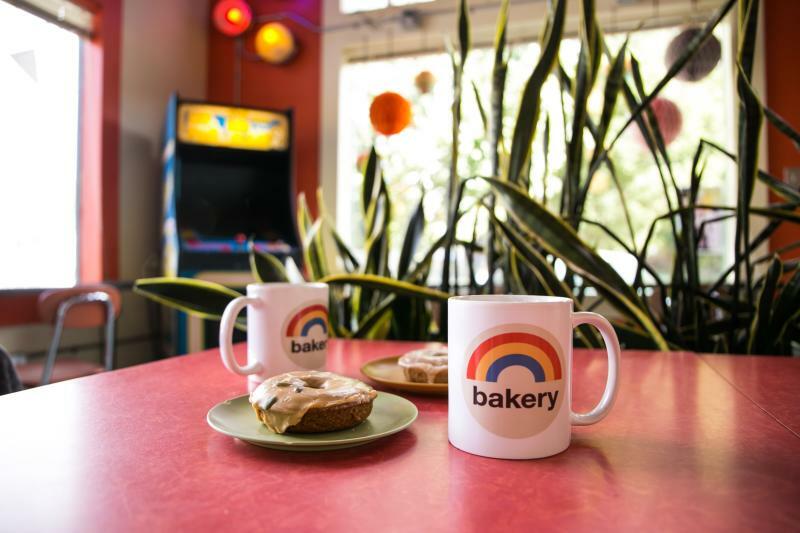 Or stop into the super colorful Rainbow Bakery (a couple blocks off the B-Line) for some I-can’t-believe-this-is-vegan treats and a game or two of Ms. Pac Man on their vintage machine. 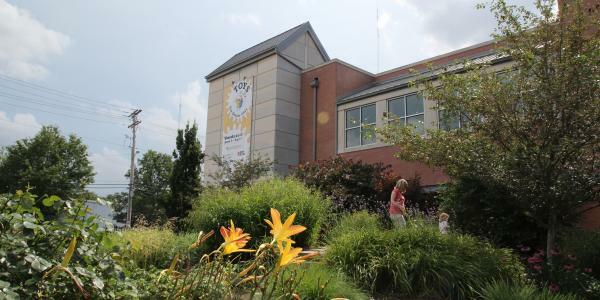 If you need to beat the heat, duck into the Lilly Library to see the Slocum Puzzle Room and their extensive collection of comic books, or the kid-centric WonderLab Museum (don’t miss their darling outdoor gardens, also on the B-Line bike path). Check out the soapy science of their Bubble-Atrium or get lost in their coral reef aquarium. 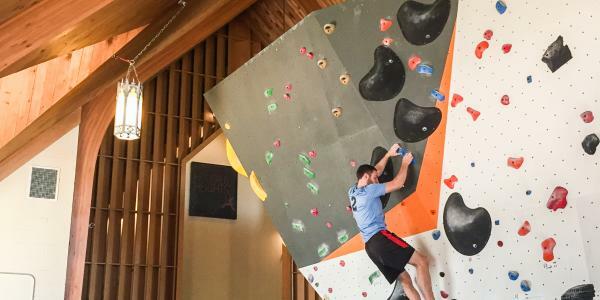 If you prefer to exert some energy while you enjoy the air conditioning, head to Hoosier Heights, an impressive rock climbing gym housed in a converted old church. 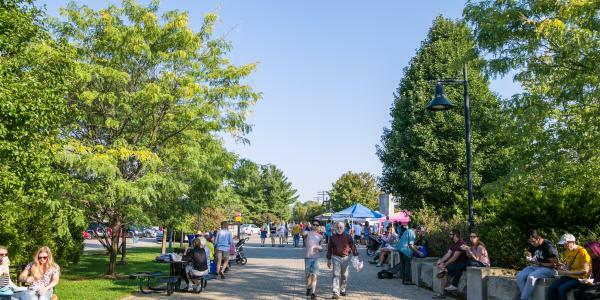 Fairs and festivals abound in the summer, so check to see what’s happening during your trip. 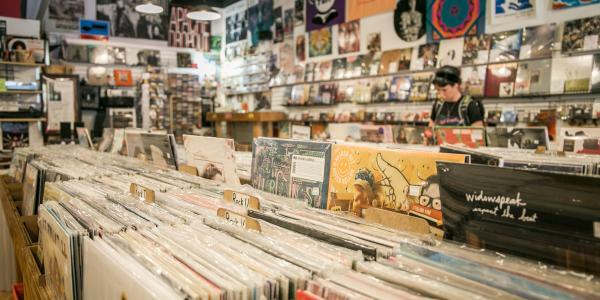 If you find yourself on the courthouse square, let the kids browse the comic shop in exchange for some adult time mining the vast record collection of Landlocked Music. 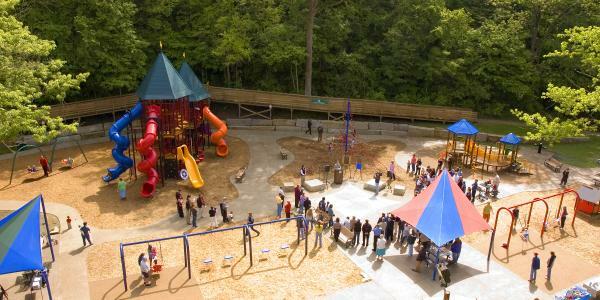 If you’re looking for a little nature to explore in town, head to Lower Cascades Park—a huge playground with swings, slides, climbing apparatus, and a toddler play area—featuring a small waterfall and creek running through. 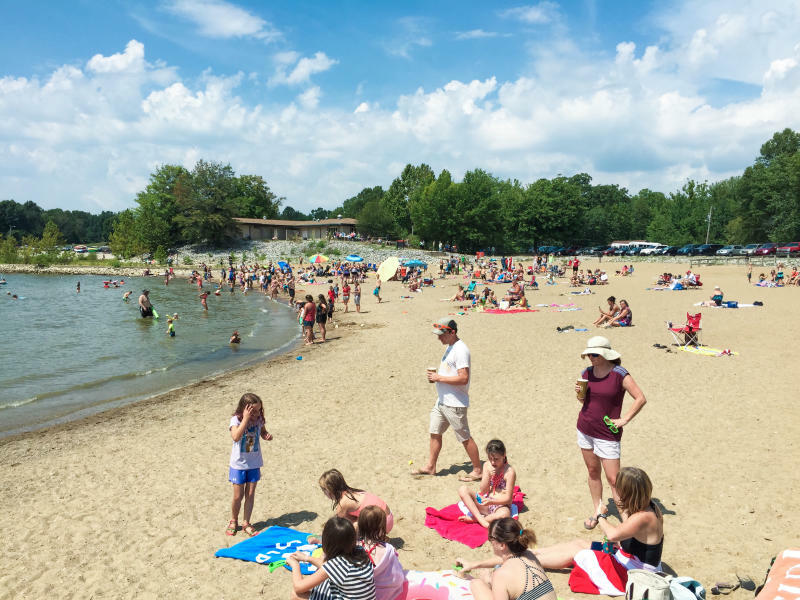 If you want to get away from civilization a bit, there’s plenty of options outdoors for families in Bloomington. Lake life is an actual way of life here, so get to Monroe Lake early, rent a boat (it’s cheaper than you think! ), and spend the day tubing and water skiing for an evening of happy, exhausted kids ahead. Traveling with more than one family? Pontoon boats are also available, accommodating up to 14 people and endless coolers and floats. And don’t miss out on pristine Griffy Lake Nature Preserve, which is a bit smaller and provides family-friendly canoe and kayak rentals. Or go inland for some time in the woods. Tackle the shorter hiking trails in the area, great for families. The grounds of the Tibetan Mongolian Buddhist Cultural Center are also worth exploring, and you can zen out the whole family with yoga and Buddhism classes for kids. As most moms and dads know, accommodations can make or break a trip, so find the just-right fit for your family and make a tradition of it. 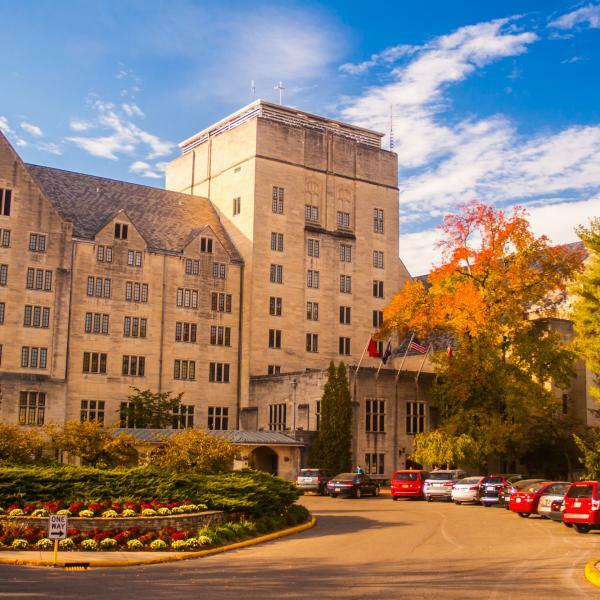 If you want to stay on campus (to relive those glory days or to inspire your kids to keep learning), book rooms at the newly renovated and super convenient Biddle Hotel: Indiana Memorial Union. If modern and luxurious is more your style, treat yourself at the Grant Street Inn’s chic new expansion, equipped with kitchenettes and luxurious sleeper sofas for the kids. 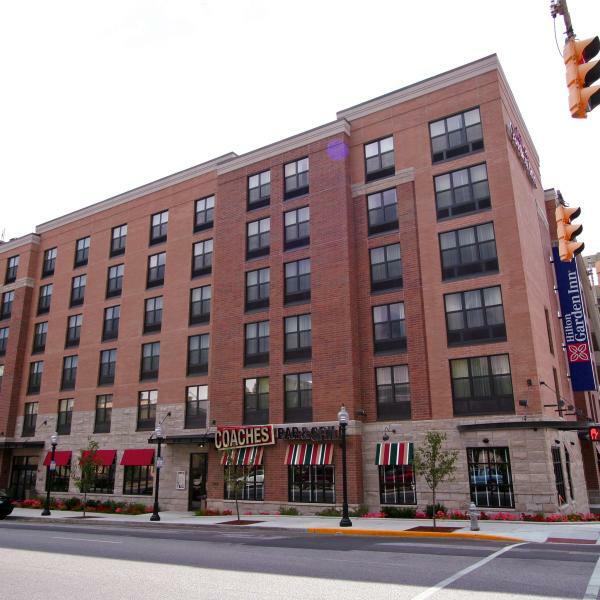 Hyatt Place, on the B-Line near WonderLab, also offers pull out couches in their suites, as does Home2 Suites, a new contemporary all-suites property set to open Summer 2018. For a more back-to-nature experience, varying levels of roughing-it can be achieved around town. 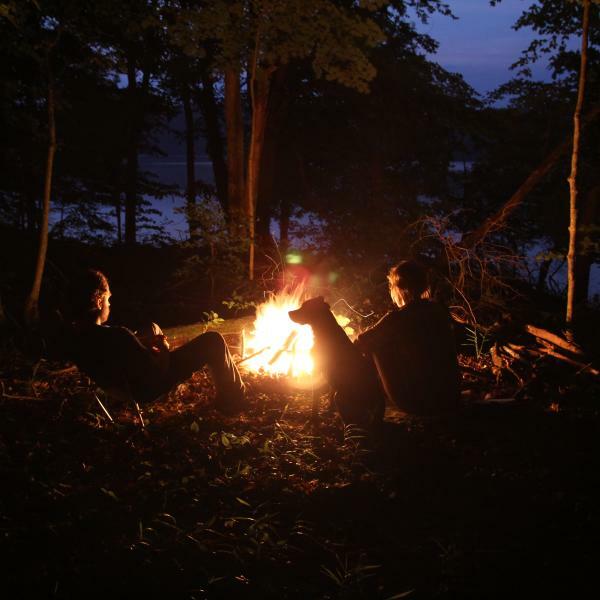 Outdoorsy parents with adventurous little ones will earn major points in Charles Deam Wilderness with secluded primitive camping spots and stunning views of Hoosier National Forest from the top of the fire tower. 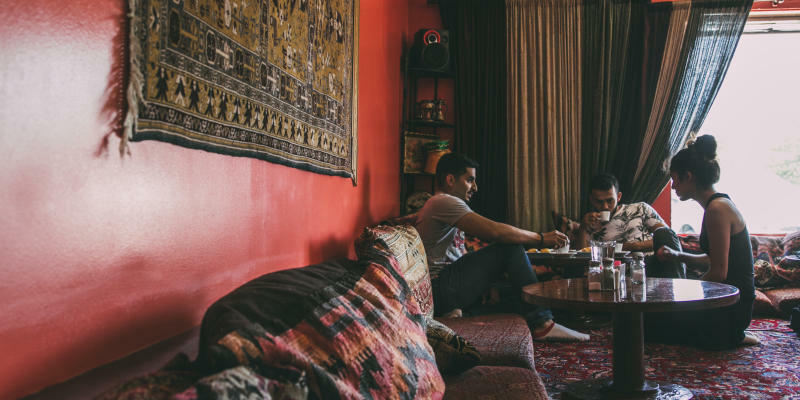 Venture to the Tibetan Mongolian Buddhist Cultural Center where, for a slightly less rustic stay, they rent out cottages and Mongolian yurts on the property. 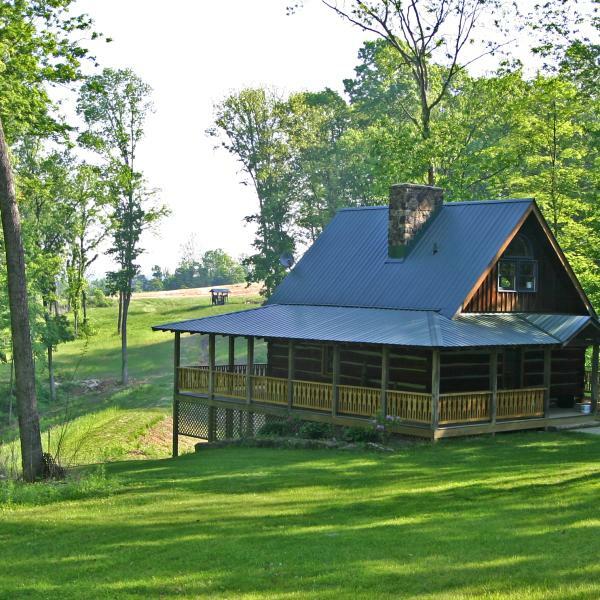 There is no shortage of cabin rentals in the area; explore our listings to find your next favorite. But if you really want all the comforts of home (plus lake access and an indoor/outdoor pool), book rooms at the Fourwinds Lakeside Inn on Monroe Lake. Everyone has their favorite spot; check out a few of ours. Don&apos;t forget the s&apos;mores. Find peace and quiet in the great outdoors. Location is everything. Stay close to all of the action. 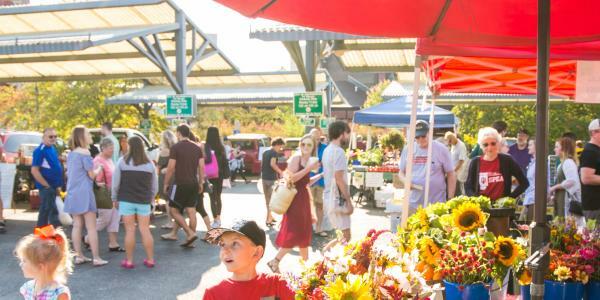 To keep the tantrums at bay, stock up on healthy snacks and produce at Bloomingfoods Market and Deli or the Saturday Farmers Market, where you can also treat yourself to delicious food prepared on site by more than 100 local vendors. Around the corner, you’ll find charming French fare at La Vie en Rose Cafe, which imports their pastry dough from France and has patio seating with a walk-up window. 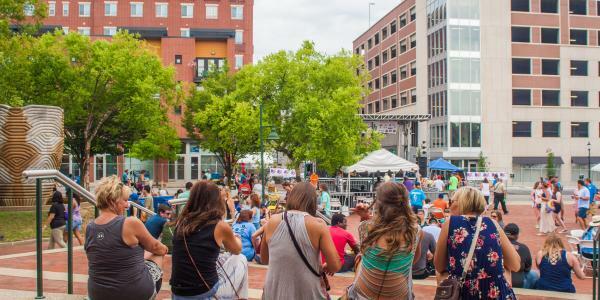 A short jaunt from there, on the courthouse square, you can brunch on avocado toast at The Inkwell, or eat artfully crafted pizza and meatballs at King Dough. 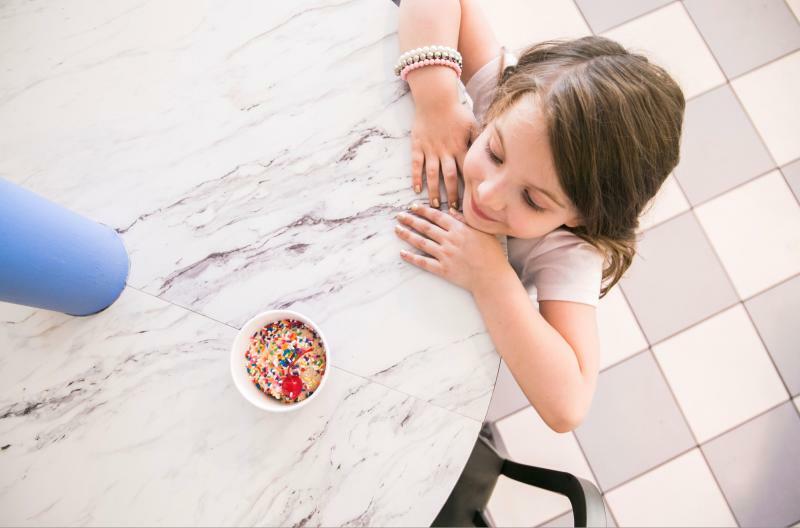 Grab a sandwich or the famous chocolate chip pancakes at Village Deli then head to Hartzell’s Ice Cream for homemade ice creams to suit a variety of dietary restrictions. And keep an eye out for The Hive, opening early June, which will offer order-at-the-counter quirky egg dishes and giant cinnamon rolls. There is no limit to fun Bloomington dining excursions. 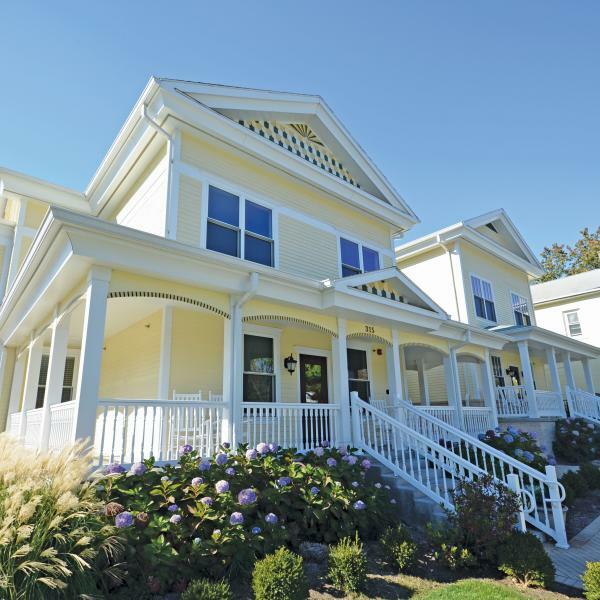 Head to Oliver Winery, where you can call ahead to have picnic baskets assembled, ready, and waiting when you pull up. Find the perfect spot in the gardens or on the lawn by the water and let the kids explore while you dine al fresco. Keep the kids on their toes with a culinary safari through 4th Street’s dozen international restaurants. Sure, kids aren’t famously adventurous eaters, but unusual dining experiences have been known to change a tune, like eating Mediterranean and Turkish food on the floor at Turkuaz Cafe, or the exceptionally authentic Chinese dishes at The Boiling Noodle (right down to the fun Korean and Chinese pop music playing). 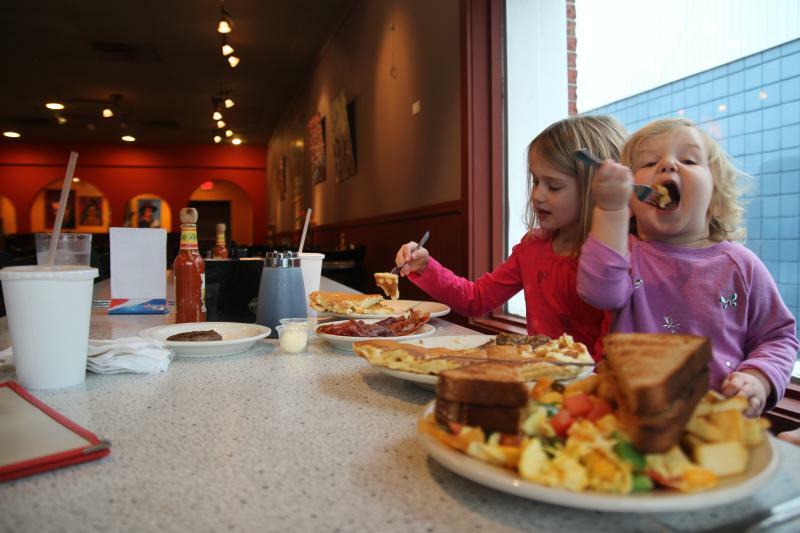 Or stick with the classics at crowd favorites like the Irish Lion or Bloomington’s original pizza spot, Cafe Pizzaria (established in 1953).